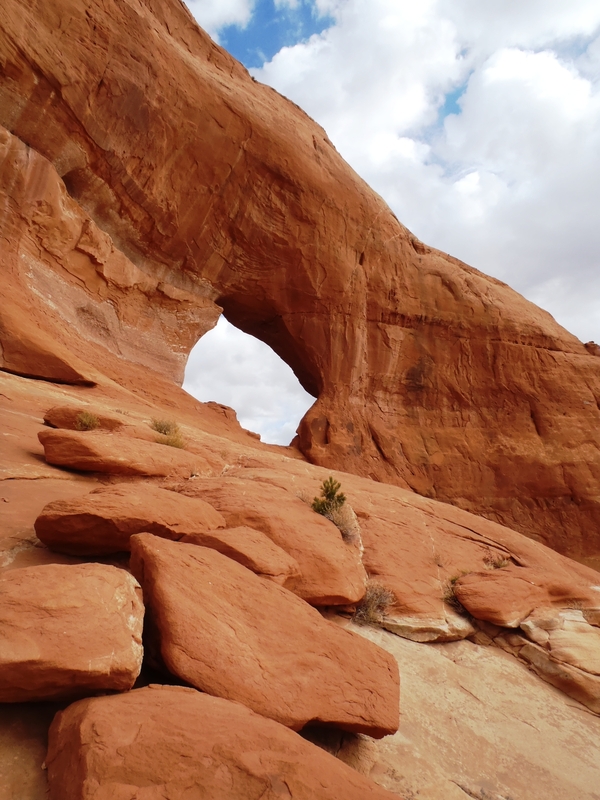 Most people who drive Hwy 191 between Monticello and Moab are familiar with Wilson Arch, which you can see from the road just south of the La Sal Junction, but I think very few people get off of the main road and see some of the lesser known arches and rock formations in that area. When you reach the parking area, the picture above is the view of the arch that you will see. It’s a little bit of a steep climb up to the arch, but it’s definitely doable without any kind of equipment. 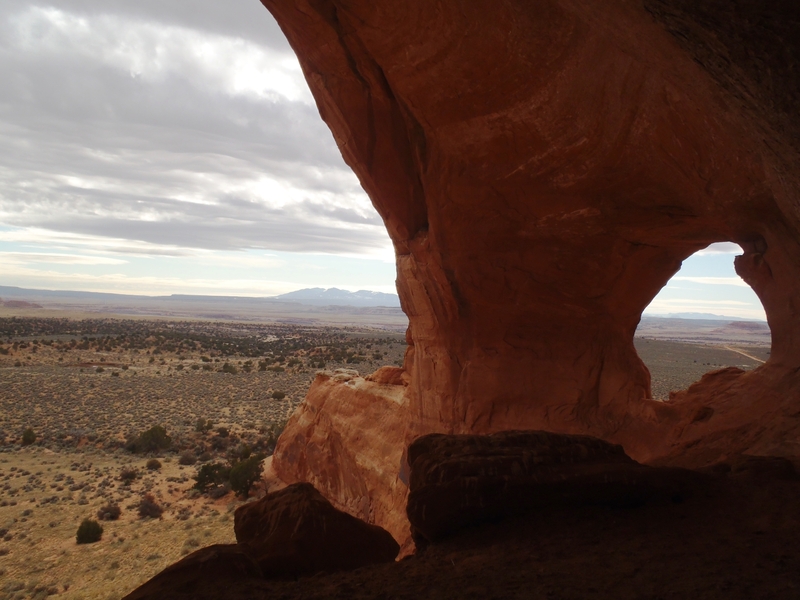 Once you are standing under the arch, you can see that the back side opens into a large alcove. 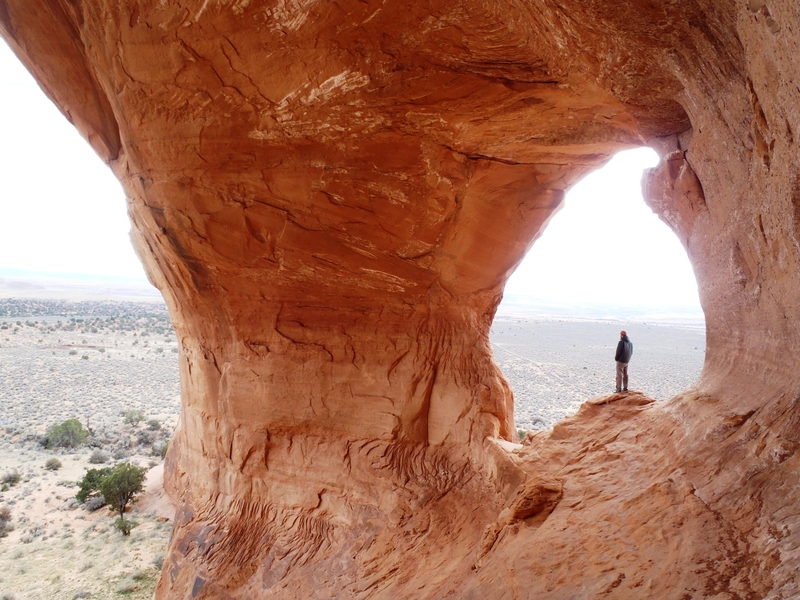 In my opinion, the sketchiest part was not climbing up to the arch itself, but scrambling to the back of the alcove to try to get a good picture! I have to say, although I’m not scared of heights, and am pretty used to climbing around on sandstone- this one made my knees shake a little bit! The first time my husband and I stopped at Looking Glass Arch, we were actually on our way out to the Needles Overlook and decided to take Co. Rd 131, which connects to the Needles Overlook Rd. (Co. Rd. 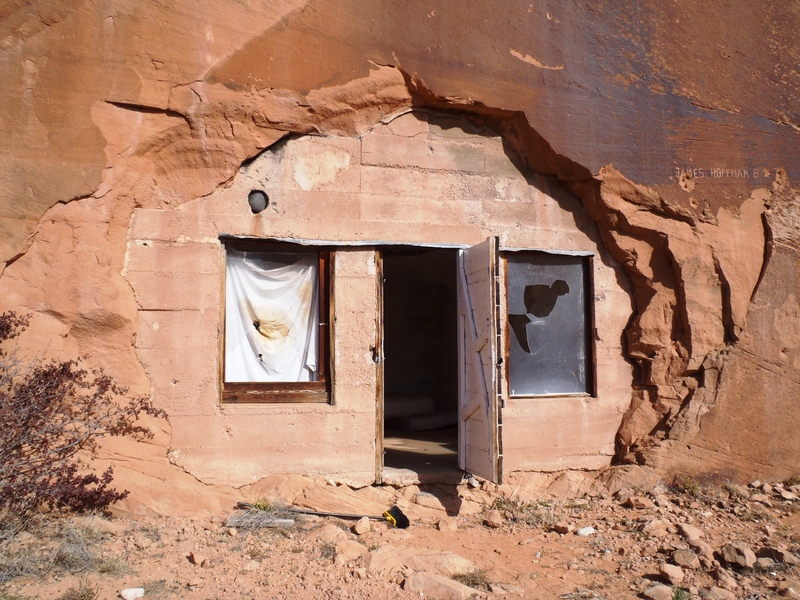 133) After leaving Looking Glass Arch, we came across something kind of unexpected- a couple of small houses built into the sandstone alongside the road! I’ve labeled these pictures as, ‘Abandoned Houses’ but I don’t know that they were actually ‘houses’. I also don’t know if they’re on private property or not, but I was so fascinated with them, I had to walk up and take a look inside! In the close-up picture, you can see a couple mattresses laying on the floor and I think there was also a closet built into one of the walls. Unfortunately I didn’t get a good picture of the inside, I’ll have to stop again next time we go through there and take an interior picture. When visiting new places, I always try to take a different road on the way in and out to see as much as possible in a limited time. If you’re heading to the Needles Overlook, taking Co. Rd. 131 past Looking Glass Rock is a great alternate route. 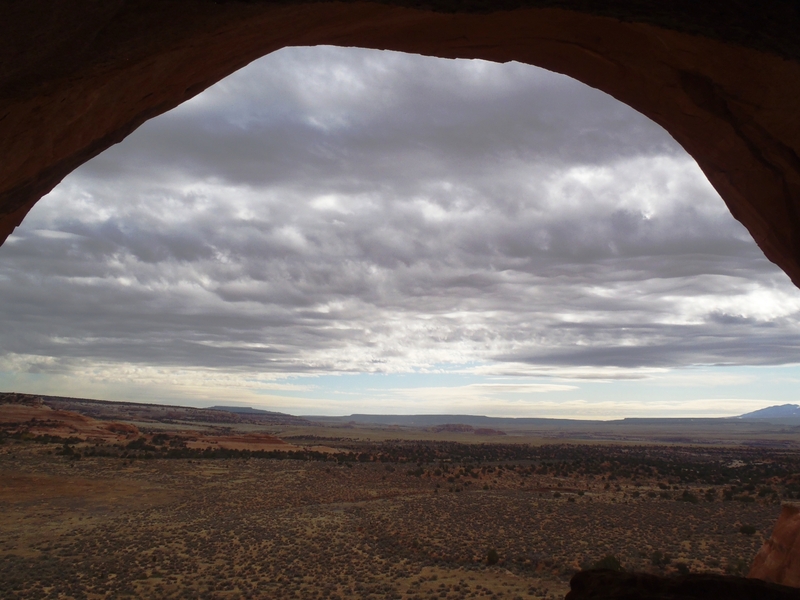 From Moab: Drive south on Hwy 191 for approximately 23 miles and turn right onto Looking Glass Rd/Co. Rd. 131 (It will be the first right after La Sal Junction) Continue on this road for approximately 2 miles until you see a well-worn road branching off to the left. Turn here and the parking area is in approximately .1 miles. From Monticello: Drive north on Hwy 191 for approximately 31 miles and turn left onto Looking Glass Rd/Co. Rd 131 (It will be the first left after Wilson Arch) Continue on this road for approximately 2 miles until you see a well-worn road branching off to the left. Turn here and the parking area is in approximately .1 miles. This entry was posted in Off the Beaten Path, Travel and tagged Hwy 191, Off the Beaten Path, Things to do for FREE!, Travel, Utah. Bookmark the permalink. 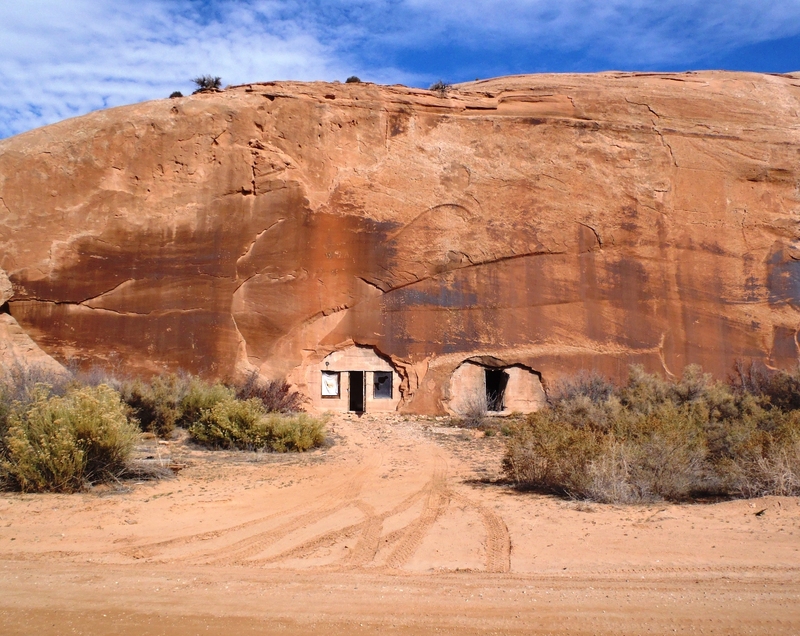 The abandon cave homes in Hatch Wash you refer to is called “Lambing Camp”. We have good friends who raised 9 children in those caves for about 7 years. Wow- that’s awesome! Thanks for sharing that with us! The original owner of those caves was my great grandfather Chet. He blew them out of the rock face himself using dynamite. I haven’t visited them yet myself but I plan to do so. I’ve heard about them many times growing up. The first cave was where he lived, the second is where he kept his sheep – hence its name today. That’s so cool that your grandfather owned and constructed those caves! I hope you make it down here to see them someday. Thanks for sharing your knowledge of the history of the caves with us!